The quintessential venture capitalist’s uniform consists of a pair of designer jeans, a Patagonia fleece vest and $95 wool sneakers. The company behind the shoes, Allbirds, entered the unicorn club this morning with the announcement of a $50 million Series C from late-stage players T. Rowe Price, which led the round, Tiger Global and Fidelity Investments. The 3-year-old startup founded by Joey Zwillinger and Tim Brown has raised $75 million to date, including a $17.5 million Series B last year. Its backed by Leonardo DiCaprio, Scooter Braun, Maveron, Lerer Hippeau and Elephant, the venture capital firm led by Warby Parker founder Andrew Hunt. The Wall Street Journal is reporting the round values Allbirds at $1.4 billion. The company would not confirm that figure to TechCrunch. Like Warby Parker, San Francisco-based Allbirds began as a direct-to-consumer online retailer but has since expanded to brick-and-mortar, opening stores in San Francisco and New York. It currently ships to locations across the U.S., New Zealand, Australia and Canada. Next week, the company plans to open its first storefront in the U.K. in London’s Covent Garden neighborhood. It will begin shipping throughout the U.K. In 2019. 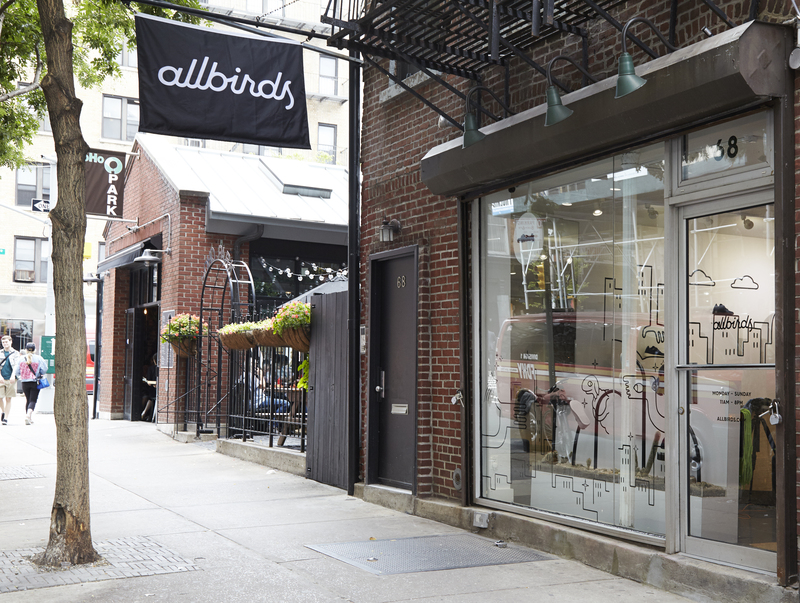 Using its latest investment, Allbirds will double down on its brick-and-mortar business. In addition to the U.K., the company says it will open even more locations in the U.S., as well as open doors in Asia in the coming months. Tiger Global, which has backed Allbirds since its Series B, may be of help. The firm has offices in Hong Kong and Singapore, as well as partners across Asia. Allbirds makes eco-friendly wool shoes for men, women and kids via its kid’s line, aptly named Smallbirds. The shoes are made out of sustainable materials, including merino wool, a fabric made from eucalyptus fiber that the company has dubbed “Tree” and “SweetFoam,” a shoe sole made from sugarcane-based, carbon-negative foam rubber. It’s been quite the year for venture investment in … shoes. Rothy’s, which makes sustainable ballet flats for women, has raised $7 million and launched a sneaker. Atoms, a maker of minimalist shoes, brought in $560,000 in seed funding from LinkedIn’s ex-head of growth Aatif Awan and Shrug Capital. And GOAT, the operator of an online sneaker marketplace, nabbed a $60 million Series C in February.